Apartamento 824 es ideal para parejas o familias con un bebé o un niño pequeño. Dispone de aire acondicionado en los dos dormitorios y sala de estar, también está equipado con ventiladores en las dos habitaciones. El gran balcón orientado al sur al este para aprovechar las brisas predominantes y evita el sol septentrional caliente. Toda la ropa e incluso toallas de playa están incluidos. El apartamento cuenta con los servicios de su llegada, pero los servicios adicionales debe ser solicitado. Hay una lavandería interna completa para su conveniencia. El baño está equipado con bañera de hidromasaje, así como un receso de la ducha separada. Un apartamento de propiedad privada que ofrece toques que establece este apartamento, aparte de ejecución de las propiedades de alquiler de molino agregó. CONSULTE AHORA - usted no será decepcionado. El baño tiene una bañera de hidromasaje y un baño con ducha separada. Apartment was very clean and well presented - plenty of laundry powder; dishwashing and dishwasher liquid/ powder - plenty of bathroom soaps , shampoos etc . Nice and close to Vivo Restaurant and the beach walk - pool enjoyed the afternoon sun until almost sunset. We stayed 6 nights and had a fantastic time. The accommodation had everything we needed - all the usuals like linen and towels but also extras like beach chairs, aeroguard, washing liquid, even plastic platter trays which we filled with grazing foods and took to eat pool side. The Mantra resort is so beautifully maintained, our 2 year old loved swimming everyday as the pool has different levels so she was able to move around the pool. This was our first trip to Palm Cove and will definitely come back. We stayed the first week in June and the weather was lovely. The main street that the Mantra is on has great restaurants and some shops. The beach is across the road and each day we wondered up to the park (5 min walk). Would highly recommend this apartment. Its on the first floor and nice and quiet. We ate on the balcony which overlooked part of the pool and faced the beach. 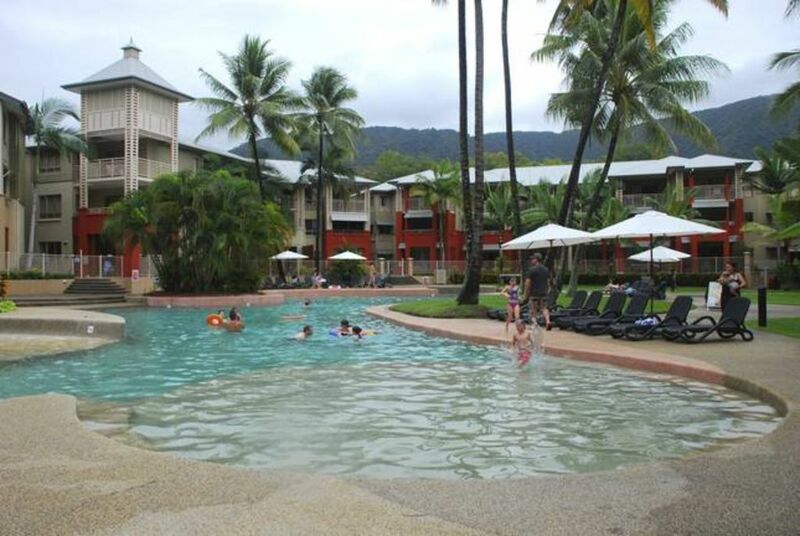 If you are looking to relax than Palm Cove is the place. If you want to do tours most days then i would stay in Port Douglas. We didn't do tours but we did go to Hartley's and it was a great day. The boat tour with the crocodiles was a highlight. The ticket lasts 3 days so if you have kids and they get tired you can always go back. This apartment was perfect for us! It was clean, conveniently located and the pool is amazing! The cot provided was great for our two year old. We had breakfast at Vivo's almost every morning which is visible from our balcony. The paperbark trees and the ocean make the view from our balcony so relaxing. We will definitely be back! For a retired couple, this apartment is ideal, just far enough away from swimming pool. great balcony, normally a light breeze this was second year in a row, thats how much we like it!! Thanks for your review Paul. Look forward to seeing you next time.